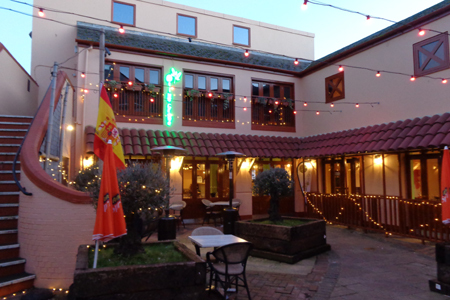 Tucked away in a private gated courtyard, just off North Street, in the heart of Brighton’s historic Lanes district is an unpretentious Mediterranean restaurant that should be on everybody’s radar. As soon as you stroll into the secluded courtyard, passing the twisted olive trees en route to the restaurant’s entrance, it’s like you’re in the Med, dining at a taverna. The atmosphere is enhanced by the sound of Greek music playing in the background. Visit in the evening and you can eat outside on the pretty, illuminated terrace or, alternatively, choose a table inside Olive Grove; wherever you sit, you’re guaranteed delicious food and service with a smile. It was raining the evening I visited with my family so we sat indoors. The peach and pistachio-coloured walls, brick feature wall and wooden floors create a relaxing ambience within this L-shaped restaurant. 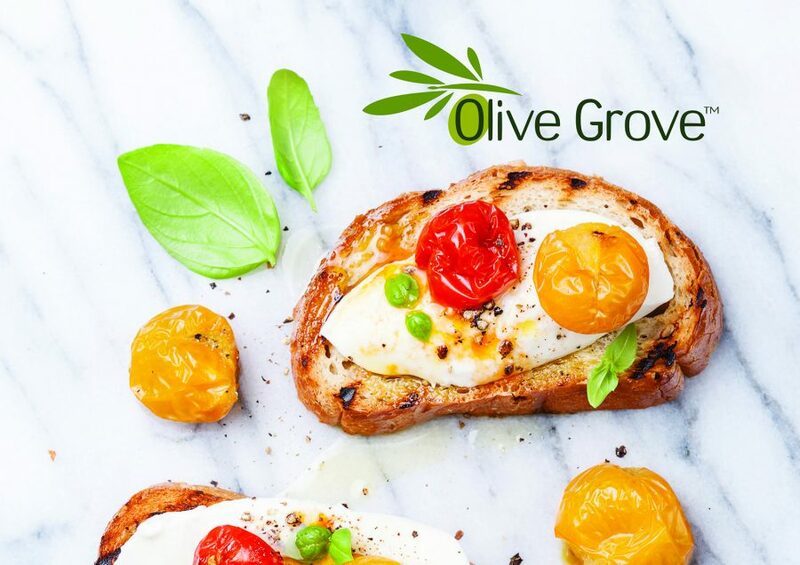 Olive Grove opened in September 2015 and the friendly hosts make you feel at home the moment you arrive. A tasty selection of breads were brought to our table before we ordered and enjoyed a three-course meal. 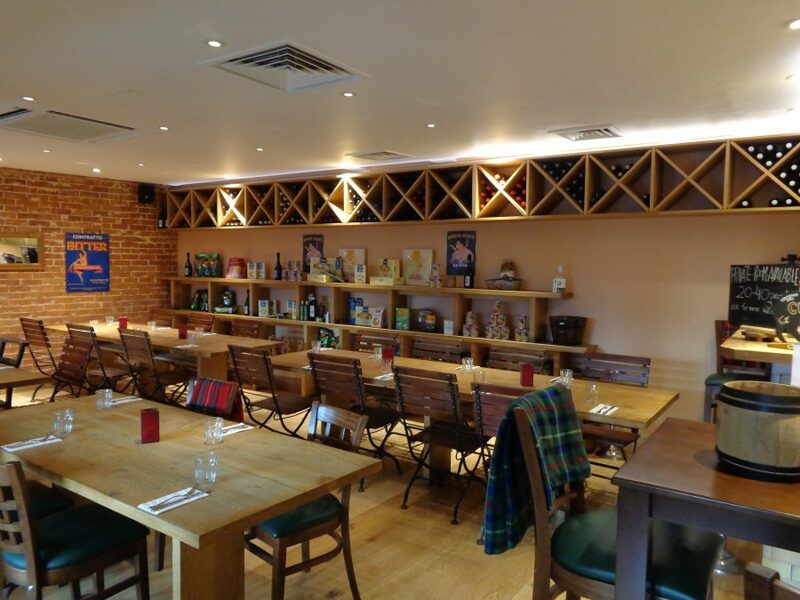 Although there are Greek influences on the menu, a wide selection of Mediterranean flavours and foods are dished up, from as far west as Portugal to the eastern coast of Greece. Small plates include Italian bruschetta, French escargot sautéed with chorizo and a fried egg or a sharing platter of Greek meze. There’s a selection, although more limited, of vegetarian main dishes but the owner is planning to increase the choice in the coming months. Meat-eaters won’t have a problem here because there are steaks and plenty of other dishes to choose from. 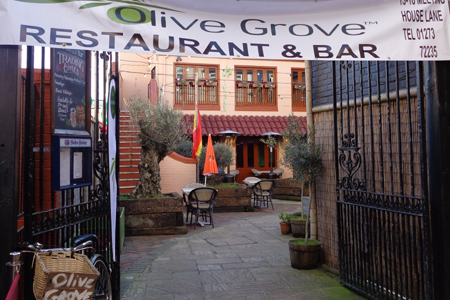 The atmosphere at Olive Grove is very laid back which is one of the reasons we enjoyed eating here, especially as we had two children. They were made to feel welcome from the start. Overall, the restaurant boasts a quiet location, the staff are friendly and fine food is dished up, making this a restaurant I’d definitely recommend.